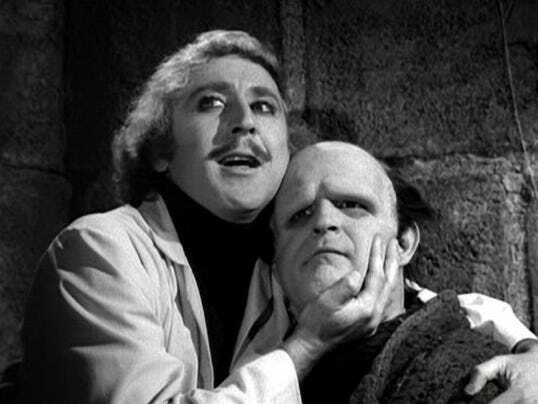 “My brain is just not working!” the words were exclaimed by Doctor Victor Frankenstein to his employee, Igor. Both were hovering over a lifeless, stitched together mosaic of various deceased humans. This was the third brain used in the doctor’s experiment to reanimate a lifeless body. 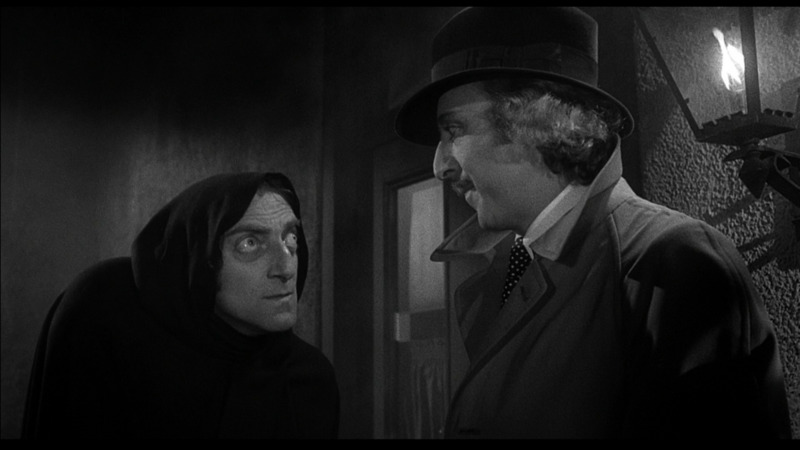 “Igor, in order to reach scientific history I require another brain. This time get me a brain of a higher quality, do not fail me again. I have checked my charts and there is another electrical storm due to arrive tonight." Doctor Frankenstein loved his charts, each morning he would frequently create, ponder and boast loudly over them. Meanwhile Igor would try to peacefully enjoy one of his few luxuries, a cup of hot Irish tea. A rare bonus would be the accompaniment of a fresh scone with cream. This would only be after the good doctor had his fill or too consumed by his work to notice the food left for him. Igor bowed and responded: “My master, I will scour the neighbouring villages and fetch you a brain as fresh as the grapes on your dinner table. Please allow me to undertake this mission at once!” He immediately made a mental to note to pick some grapes from the vineyard and place them on the dinner table before leaving. The project to successfully restore life to the lifeless was an obsession to the doctor but after four years, this was just another day on the job to Igor. It had been a rainy day when the two met; the axle had snapped on Dr. Frankenstein’s horse drawn carriage and he brought it into the local smithy, Gustav’s Blacksmith Emporium where Igor was employed as lead apprentice. Back then, Igor endeavored to provide a great customer experience even when most customers did not want to experience him. A limp, a back hunch and oversized eyes were considered unsightly to the clientele, even by blacksmith standards. 2. Removing the recently exhumed corpses from the coffins before loading, preferably in an enclosed carriage compartment. In addition to being a more frugal choice, it would reduce speculation from passers-by and would provide less back strain when loading/unloading. Impressed with the display of problem-solving skills and commitment to client confidentiality, an immediate job offering was made. Igor accepted the position with the understanding that it payed less but carried then rare benefit of health coverage. Victor Frankenstein was a doctor after all. Brain #1: Preserved in formaldehyde, purchased from a failed medical student and likely stolen. The brain’s condition was found to be compromised by the chemicals and therefore unfit. In the following two weeks, the lab was filled with the pungent odour. This brain was later fed to rats for pest control purposes.Brain #2: As a stroke of luck, a road rage incident between two peasants was witnessed by Igor. One of the peasants received a fatal blow by the other, killing him instantly. In addition to receiving a fresh cadaver, the surviving peasant gave Igor a chicken in appreciation of disposing of evidence. Unfortunately the brain was damaged from the altercation and also deemed unfit. The chicken was delicious.Brain #3: Liberated from a recently buried grave. The specimen was considered to be in perfect condition but was speculated to be dead too long. A case of a stale brain. 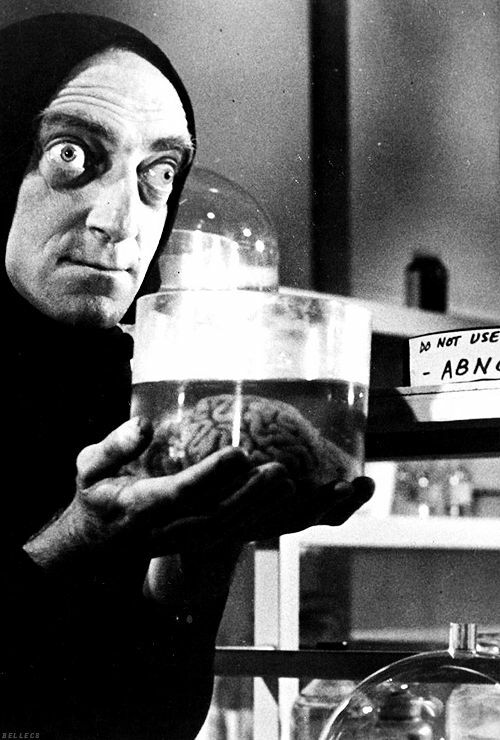 Now on the hunt for Brain #4, Igor wondered on how to deliver to his master a brain of near-new condition. Before departing from the castle, Doctor Frankenstein directed to adopt more nefarious procurement methods. Igor respectfully declined this employer request. “Master, abduction and/or murder is not listed in my job description. To add such duties would require a promotion to a higher pay band that I presently hold,” He explained. Their eyes locked in a moment of tension, then Dr. Frankenstein sighed. “Very well, proceed under current parameters. Your performance review is coming up, I invite you to remember that,” He warned. Igor’s retrospection of the conversation was interrupted when saw the building of his former employer: Gustav’s Blacksmith Emporium and decided to pull off the road for a visit. “Hello boys, what’s stoking in the fire?” Igor cheerfully asked of his former co-workers. He took pride that he’d been able to leave his position in good standing. Looking around, he concluded that little has changed, tools and supplies were still recklessly scattered about. Igor recalled that this had been reported when he was an employee and also leader of the workplace health and safety team. Gustav, owner of Gustav’s Blacksmith Emporium obviously had not taken corrective actions. “Have no fear Gustav, for I know a doctor,” Igor replied as his friend fell into an unconscious state. Otto assisted in gently loading Gustav into the carriage. Instructions were provided by Igor to Otto to immediately halt all production until the shop was cleaned and organized to prevent a repeat of the incident. Igor of Igor’s Blacksmith Emporium returned to the castle of Doctor Frankenstein with haste. Little optimism was given in regards to the condition of his friend’s health. Some compensation would be found in using Gustav’s soon to be deceased body, most importantly his brain, would be used for the benefit of scientific discovery. Gustav would have wanted it this way; or at least he was in no condition to debate the notion. A grin widened on Igor’s face as he pondered how one person’s failure can lead to the success of others. Two years later, Igor (of Igor’s Blacksmith Emporium) authored and released the novel: Servant and Master: A Henchman’s Career Development Guide. It attained bestsellers status in Latveria and Kazakhstan. Ten years later, Doctor Victor Frankenstein also authored: He’s a Monster: Confessions of a Single Father, with a forward by Captain Robert Walton. Never released but later re-adapted by Mary Shelley with moderate success. Duane Wiggins (aka Wiggy to some) began writing as an adolescent but has been told his printing is easier to read. The bulk of his work consisted of reports, carefully written emails to avoid getting fired, and more recently resumes and cover letters (guess he was not careful enough). 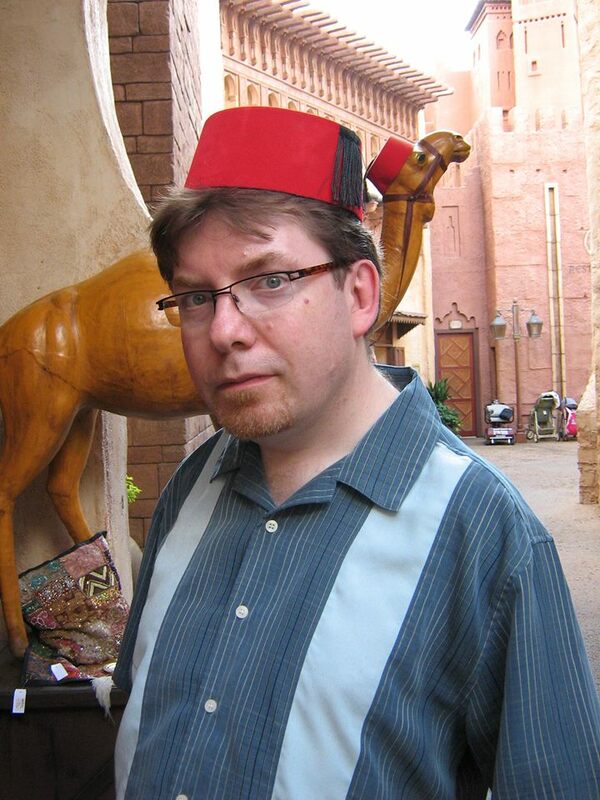 Imaginative contributions included writer and artist on Weapons Willy (Pull My Finger Comics) in 2000 and Return of the Sidekick (Battle Royale) in 2002. Duane currently lives in Mississauga, Ontario, with his wife, two brilliant goldfish, two stupid cats and a pile of comic books. See Brian Henry’s schedule here, including writing workshops and creative writing courses in Algonquin Park, Bolton, Barrie, Brampton, Burlington, Caledon, Georgetown, Guelph, Hamilton, Ingersoll, Kingston, Kitchener, London, Midland, Mississauga, Oakville, Ottawa, Peterborough, St. Catharines, St. John, NB, Sudbury, Thessalon, Toronto, Windsor, Woodstock, Halton, Kitchener-Waterloo, Muskoka, Peel, Simcoe, York Region, the GTA, Ontario and beyond. Wow, what a clever story. It's fun to turn the mirror of today on something set in the past.